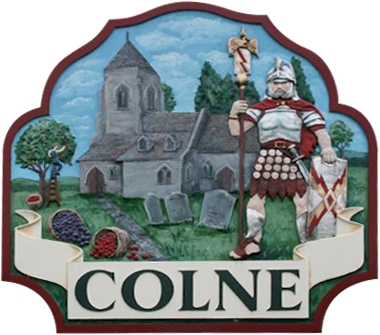 From this section you will be able to access information about each of the committees of Colne Parish Council, see which councillors are on each committee and view the agenda and minutes of each meeting as and when they become available. The general business of the council is determined at regular meetings where all the councillors attend, these are referred to as “Full Council” meetings and the items on the agenda of such can be varied. Depending upon the amount of work and scale of responsibility that the council has to undertake some items of regular business, for example planning matters, are dealt with by a specific sub-committee whose meetings only address that particular subject. The number of members on a sub-committee can vary from the entire council to just a small group of councillors. The number of sub-committees created by a council is under their control and generally related to how much business that each committee has to deal with, some rural councils may not require to create any sub-committees being able to conduct all business at the full council meetings. The number of committees may vary in relation to the current workload. Details of the committees and the councillors that are current members of each committee are available from the menu on the left under the sub-title “Council Committees”. This document is issued prior to a meeting and lists the items that may be discussed at that meeting. Although these documents are quite accurate they may not include all items that will be discussed. Most meetings always have an “Any other Business” section, usually just prior to the meeting being concluded, and this may raise points that are not predicted on the agenda. Details of the committee meetings both past and future including their agenda and minutes (if available) are available from the menu on the left under the sub-title “Council Meetings”. Planning applications for Colne are managed by the Development Management Service (External link will open in a new window) of Huntingdonshire District Council and you may view the detail of past (from 2002) and current applications on the Public Access Information System maintained by the district council.